Take heart, Methodist South Hospital has a new cardiologist in town, Jules Pean, MD, FACC, MBA. Dr. Pean felt it was important that he live in the community where he practiced. 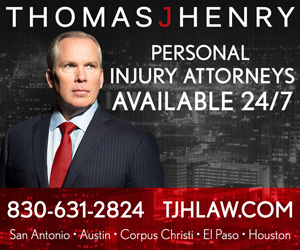 He gladly moved to South Texas so that his wife could get back to her Texas roots. Dr. Pean wants his patients to know that he lives just five minutes from the hospital located in Jourdanton. Dr. Pean feels the level of care he will be able to provide living locally is a great strength. Dr. Pean spent 12 years with Cardiology Group in West Orange, New Jersey following which time he practiced in Kentucky and California. Before joining Methodist Heart | South Texas Cardiology Institute in mid-2018, Dr. Pean served as the sole cardiologist in Crescent City, California for two years. 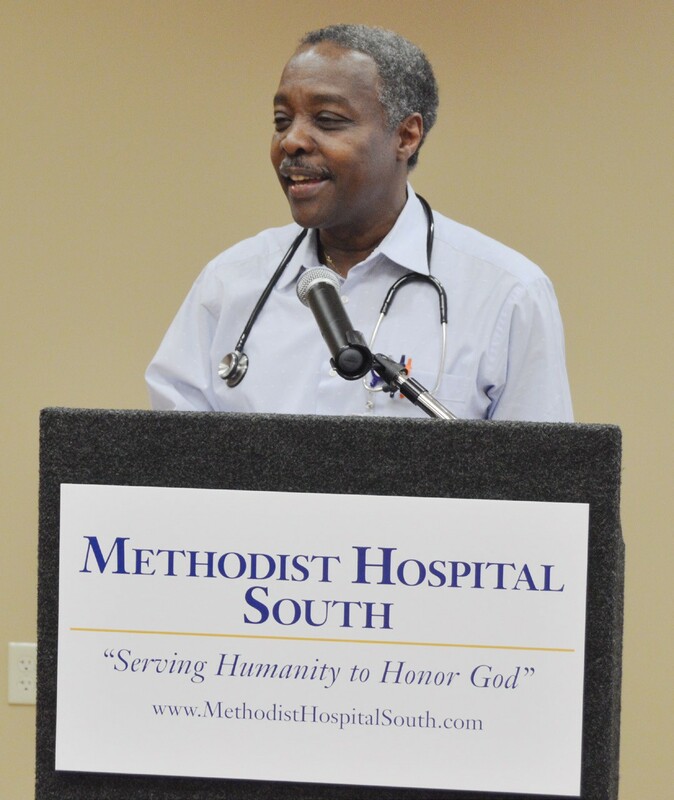 Dr. Pean will offer daily (Monday to Friday) clinic at Methodist Plaza South. He will be backed by his eleven cardiologist partners at South Texas Cardiology Institute to provide 24/7 coverage and care at Methodist Hospital South. 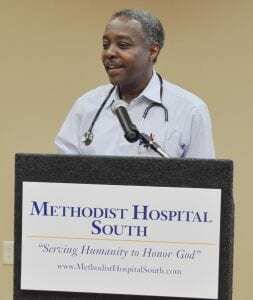 Dr. Pean states that if there is a cardiovascular issue that Methodist South cannot handle that the patient will have immediate access to the Methodist Healthcare System’s cutting-edge cardiovascular services. Mary Walsh, President of the American College of Cardiology, advises that when choosing a cardiologist look for the letters FACC after the doctor’s name, which means Fellow of the American College of Cardiology (ACC). Cardiologists elected as fellows have demonstrated their commitment to the highest standards of patient care, according to the ACC. “That’s an important sign that your cardiologist is up to date,” states Walsh. Additionally, she advises you want a cardiologist who is board-certified in cardiovascular disease. Dr. Pean is both board certified in cardiology and a Fellow of the American College of Cardiology. “This means that the doctor has not only studied his specialty but has passed rigorous testing,” said Walsh. Dr. Pean said that he was meant to become a cardiologist, mainly because his father, a disciplinarian, said he was. During his third year of medical school, a cardiology professor invited him to round with him in the hospital. He coached Pean through his first heart cath, and it was then he knew cardiology would be his chosen field of specialization. Dr. Pean said that as a cardiologist he takes care of people with many problems. Most people he sees for blood pressure, hypertension, diabetes, and cardiovascular disease. While he knows it is a necessity, he is not a big fan of pills but prescribes them as needed. He says the most essential way to cure heart disease related illnesses is through prevention utilizing diet and exercise. He believes strongly it is never too late to start exercise and a healthy diet. Additionally, he strongly advises anyone who smokes to stop immediately as it will most certainly lead to issues of the heart. After medical school in Mexico, Dr. Pean completed the 5th Pathway Program at the University of Medicine and Dentistry of New Jersey/Robert Wood Johnson Medical School in Piscataway, New Jersey. He completed his internal medicine residency at St. Peter’s Medical Center in New Brunswick, New Jersey and his cardiology fellowship at St. Joseph’s Medical Center in Paterson, New Jersey. Dr. Pean also holds an Executive MBA from Rutgers University in Newark, New Jersey. Dr. Pean’s specialties include: preventative and therapeutic adult cardiovascular medicine, arrhythmia, diagnostic cardiac catherization, congestive heart failure, echocardiogram, heart attack, pacemaker, and stress test.